Enterprise SEO covers the cluster of strategies that you deploy to give your website a unique presence in the Google search landscape. The idea is to dominate your niche within the industry. When customers climb the Google search bandwagon and do an organic search, they’ll be expecting precise answers that fulfill their intent. Sound enterprise SEO principles help you increase your visibility in Google search pages. You ensure you divert a good share of the search traffic to your website. A growing search footprint creates the foundation for marketing your products and services and growing your business. Traditional SEO focuses on keywords that power organic customer searches and optimizes a website using keywords related to the products offered by enterprises. Google matches the customer’s keywords with web pages that (in its estimation) rank high in quality and content. All that changed with the introduction in 2016 of RankBrain, Google’s Machine learning algorithm. RankBrain studies not only the context around keywords used by the customer but digs deeper to probe customer behavior and past search history to gauge the customer’s intent. Then, the algorithm delivers a search result that’s unique to each customer. If John searched “Chinese food” and the algorithm assessed that John’s previous search history revolved around gourmet food reviews, he’d probably get results focusing on reviews by celebrity cooks. Jane uses the same keywords and gets a result packed with recipes and eateries serving Chinese food near her. This happens because Jane’s search history reveals she’s fond of food recipes and orders takeaways regularly. The search terms may be similar but search results differ and match the intent of the searcher. This is how Google’s algorithm delivers an experience that is unique to the searcher’s web behavior. Modern enterprise SEO has also evolved to research customer behavior and understand customer intent. Instead of single keywords dominating the website, content is organized as a cluster around distinct product categories. Extensive interlinkages make each cluster an organic entity capable of satisfying every possible customer intent. The topic cluster approach also presents a good opportunity to brand the company and offer customers what you want them to see. All the traffic in the world may be knocking at your doorstep but if the website assaults the senses, confuses the visitor, and is not user-friendly, your efforts are probably wasted. The designers need to tweak your website with responsive design features. This makes your site mobile compatible and easier to view on a compact screen. The handheld device has a smaller viewing surface with touch-screen features and tactile navigation. If you’re not responsive to these needs, your site is a goner. A sizeable population uses mobiles to search for information. They want answers faster than a speeding bullet. If users find it cumbersome to find what they’re looking for, they won’t stick around. Probably, that’s how your competitors are diverting customers. So define your categories, keep layouts simpler, and make important keywords clickable links. If your designer is more conscious about beauty and fashionable layouts at the cost of loading speed, you’re in deep trouble. The 2018 web searcher likes fast loading sites, and Google will prioritize you if site speed is high. We are moving to an era where the ‘mobile experience’ is defining search ranking. Google says that more than half of all searchers abandon a search if the site takes longer than 3 seconds to load. A slowly loading site is considered a bad user experience. You want to bracket your site in the good UX category. Dead links that give you “404” errors can do serious damage to your reputation. The same holds true of an in-site search that leads to a “product not found” page. Searchers consider you as a poor service provider, and Google downgrades you a notch for poor user experience. You need to find the problem links, locate where they’re sourced in the HTML, and cleanse the bad links on a regular basis so that customers never suffer a bad experience. It’s easy for the big brands that have already established their presence; they don’t have to shake an arm and a leg to stand out in the crowd, but for you, that’s not an option. You need to make the most of every opportunity that comes your way. In short, you have to focus on your Unique Selling Proposition (USP). What makes you different, and what makes your service extraordinary? If you’re selling coffee, and customers are beelining to Starbucks, they’ll want to know what makes you special. Well, you can speak about how the beans are home-grown on a farm that’s free of pesticides, where the air is good, the water is pristine, and the soil is clean. You can say you’ve block chained the entire journey of the coffee bean from farm to cup, and then use enterprise SEO to kick up a storm in social media. Get people to talk about how eco-friendly and people-friendly you are and how you deliver the goodness of the earth in a flavorful cup that peps up the whole day. When you speak to a person you talk softly; when you’re addressing an audience, you grab a megaphone. Your blog is the megaphone that conveys your voice to your target audience. You’re not a faceless brand; you’re a human being. You don’t address customers as Roman senators addressing the crowds; you’re more personable and willing to engage the customer. When you speak it should be with the quiet authority of a person who is a leader in his chosen field. Tell the customer what you offer adds value to his life. Make the content reflect your level of experience and expertise. Generate content that will keep customers coming back on a daily, weekly, monthly basis, eager to learn from the valuable insights you share. You see many big companies very conscious of their branding and reputation but responding rigidly and robotically to customer requests, suggestions, and grievances. Fortunately, the small business enterprise is better placed. You are professional but polite and engaging. You present a human face, and you’re willing to get your hands dirty doing shop talk. Use enterprise SEO to create platforms in social media where you can exploit your human side to the hilt. Gather followers, then follow them, respond to tweets, and generate the feeling that you are in the market rubbing shoulders with your targeted audience. Start a competition, offer grand prizes, and dole out discounts that will attract eyeballs. But be there when a question is asked or when help is requested. Get industry bigwigs to do a guest blog for you. Link yourself to external sites that could be useful to your customers. Participate in community activities, charities, and events to show you care. Network with other enterprises in a bid to help each other with promotions. By being informative to customers, by projecting authority, by being hands-on in dealing with customers, by establishing linkages with the competition, you expose yourself to an expanding customer base. Enterprise SEO steadies the ship as it reaches the final destination – the Google top-ranking page result. Enterprise SEO safely optimizes your brand’s visibility enabling you to rise to the challenge of defending your turf from the goliaths that straddle your arena. 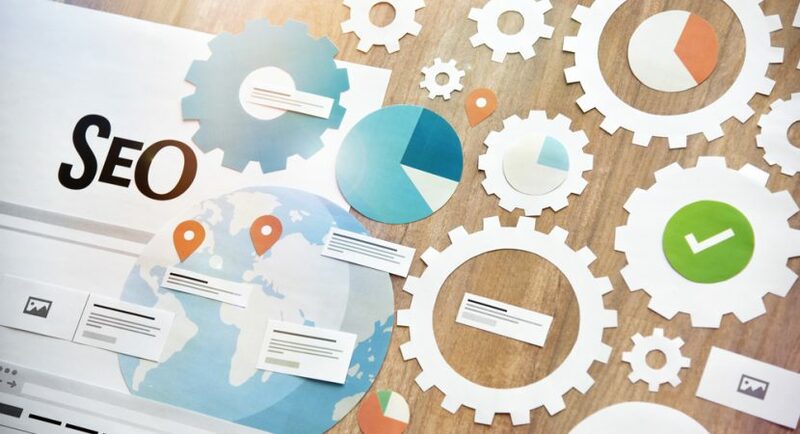 Large businesses may spend billions on raising efficiencies and training professionals to deliver services, but the small enterprise is equally capable of leveraging inexpensive tools and techniques to attract a bigger customer footprint and achieve business goals. That’s what enterprise SEO helps you do.